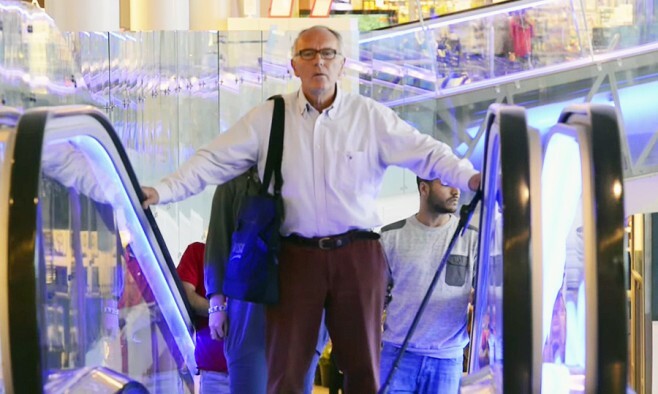 Escalator 'freeze' video: do people help or just push past? The Norwegian Parkinson’s disease association, Norges Parkinsonforbund, conducted three social experiments and uploaded the footage to YouTube where they have amassed almost 20,000 views. The videos show how challenging everyday life can be for people with Parkinson’s. In the first video, a man is shown to be struggling to get off at the top of an escalator. He appears to suddenly experience a common symptom known as ‘freezing’, blocking the path of those behind him. In Norway alone, 8,000 people are living with Parkinson’s. The videos were well received in Norway, and were even covered by the Norwegian Broadcasting Corporation.